He handles several clients and candidates at the same time, and he takes them from a company to another, replacing them in the meantime. He creates the needs that he doesn’t waste to fill. He’s looking for only one profile. Always the same. Over and over. But he has tons of open positions for this same person. He has a few different needs, and every morning he connects to the different CV databases that he’s paying for, hoping that some interesting candidates will have appeared during the night and that he’ll be the first to contact them. He writes job advertisements and hopes that it’ll catch the interest of good candidates. He lives for the thrill of the hunt. He doesn’t care if he doesn’t know anything about the job that he has to fill. He’s dedicated to find the right person, no matter what. This one killed careers and deals just by stepping in. He’s the kind that lies to both the candidate and the hiring manager, never worrying about who he’s hurting in the process. He’s been working with his internal database for years, only filling temp roles or short-term contracts. He knows all of his candidates perfectly, even better than he knows his own children. He doesn’t know anything about the job, and he’s probably too afraid to ask. He will contact a lot of candidates but hopes in secret that they don’t answer the phone. He’s been through all of these roles and he embodies a bit of most of them. He knows what efforts to put in a search and where to put them. He’s pragmatic, reasonable, and he genuinely wants to help. But he’s also passionnate, dedicated, and lives for the thrill. 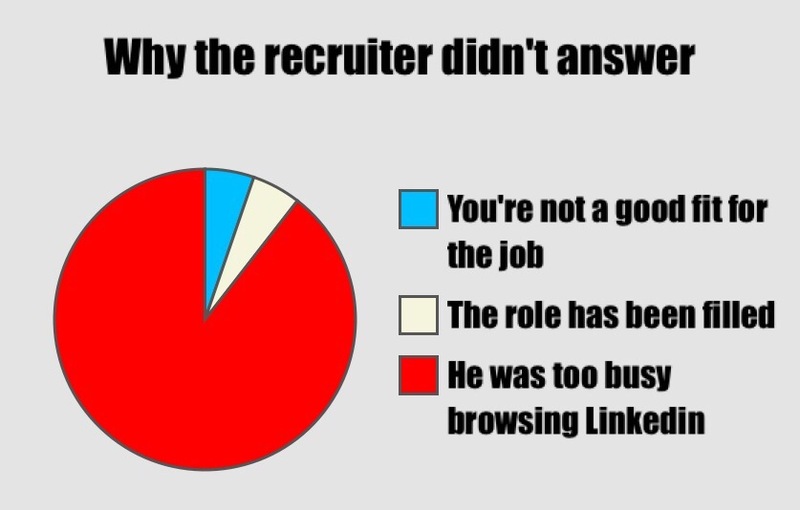 Do you know recognize a recruiter who you know in one of these profiles ? Cette entrée a été publiée dans General, InEnglish et étiqueté English, recruiter, recruitment. Sauvegarder le permalien.